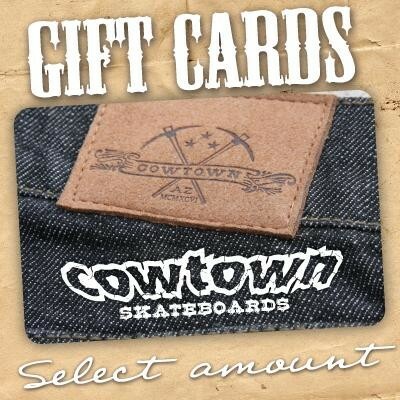 Cowtown gift cards are available from $10 and up. They are redeemable for in-store purchases and online orders!. They make the perfect gift for the ever so hard to shop for skateboarder. SHIPPING FOR GIFT CARDS...Please select Gift Card Purchase Mailed and we will mail it to your ship to address free of charge.